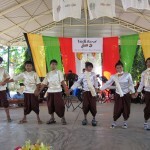 When the Marist Brothers from Australia first arrived in Cambodia, they had no definite plan in mind but wanted to work where they would be useful and where they could continue their order’s involvement with education. 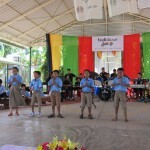 The education system in Cambodia is in great disarray and children with physical disabilities have very little opportunity to get an education; so the Marists founded the Lavalla School in 1995. 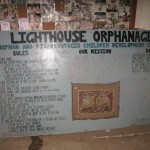 Patty La Mothe, a Maryknoll lay missioner, worked with them to train the teachers for the new school until her return to the US in 2000. 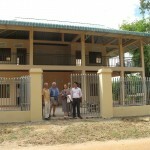 Members of Grapes for Humanity’s board of directors visited the Lavalla School in November 2003 at its new facility located on the outskirts of Phnom Penh. 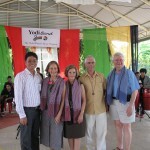 To help the school to expand their activities, we have raised $50,000. 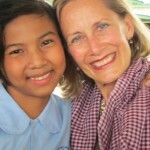 Grapes for Humanity fully funded the construction of a girl’s dormitory and a skills training center in order to give the physically handicapped students in Cambodia a better quality of life. The monies for these projects were raised at the Antinori Dinner in October 2003 and the Best of Bordeaux Dinner held in November 2004.